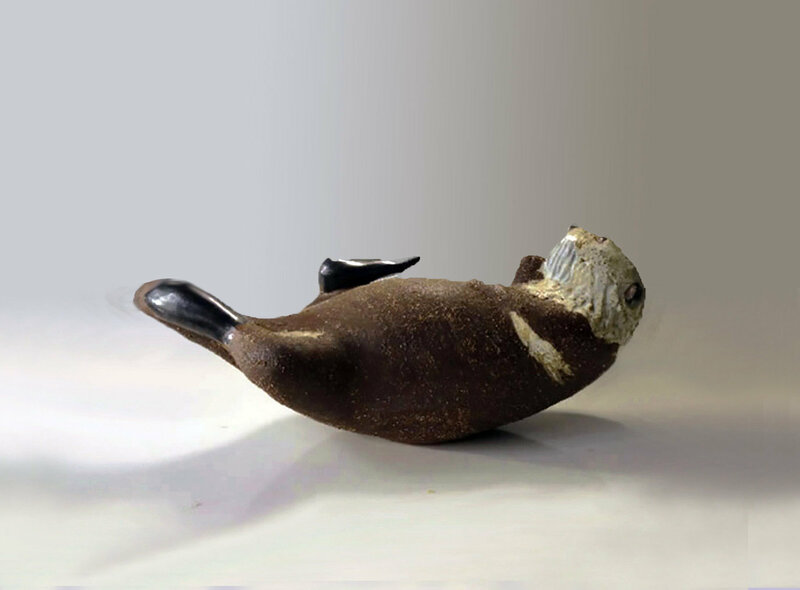 The Stoneware Sea Otter by Christine Andersen Tupper. The Sea Otter lies on its back and paddles its hind legs while holding some food with it’s front paws. Tufts of fur and whiskers are glazed in matte white. The nose, tail and feet are glazed in glossy ebony. The Sea Otter is eight and a half inches long.